When will be Egypt's Greatest Mysteries next episode air date? Is Egypt's Greatest Mysteries renewed or cancelled? Where to countdown Egypt's Greatest Mysteries air dates? Is Egypt's Greatest Mysteries worth watching? Focusing on the most important discoveries from the world of the ancient Egyptians, "Egypt's Greatest Mysteries" journeys back in time to explore the unveiling of the tomb of Tutankhamun, the reign of Ramesses II and Champollion's deciphering of the hieroglyphs. This is the story of how Giovanni Belzoni, an anglicised Italian circus performer, ended up in Egypt in 1814, at a time when it was just starting to open up to Europeans, and became its greatest explorer. The story of how Belzoni made some of his greatest discoveries, including the tomb of Seti I and the hidden entrance to the mysterious sand-covered temple of Ramesses at Abu Simbel. The story of the race to decipher ancient Egyptian hieroglyphs. How Champollion began to uncover the strange world described by the ancient Egyptian hieroglyphs. His odyssey took him to Turin, then Egypt and finally to his death. 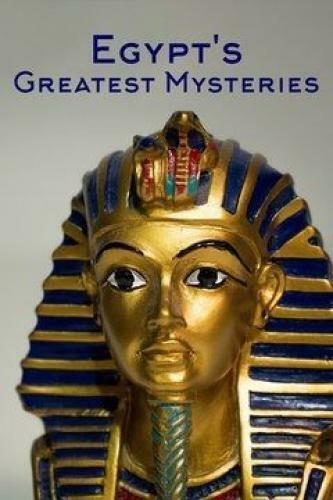 Egypt's Greatest Mysteries next episode air date provides TVMaze for you. EpisoDate.com is your TV show guide to Countdown Egypt's Greatest Mysteries Episode Air Dates and to stay in touch with Egypt's Greatest Mysteries next episode Air Date and your others favorite TV Shows. Add the shows you like to a "Watchlist" and let the site take it from there.